Won't leave you out standing in the rain! Reliable two-layer jacket for all types of activities. 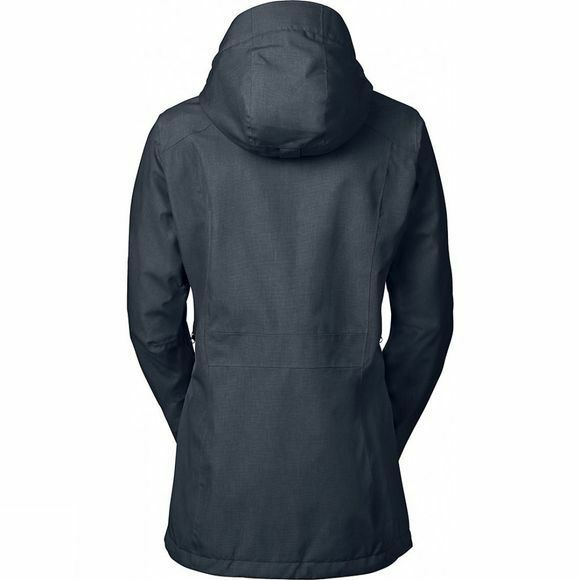 This weather protection jacket is a super all-arounder: not only is it totally waterproof, windproof and breathable, it also features stylish details and has a slightly longer cut making it a perfect choice for travel. If it gets too warm when hiking, open the practical underarm ventilation for a fresh breeze. The hood can be detached. 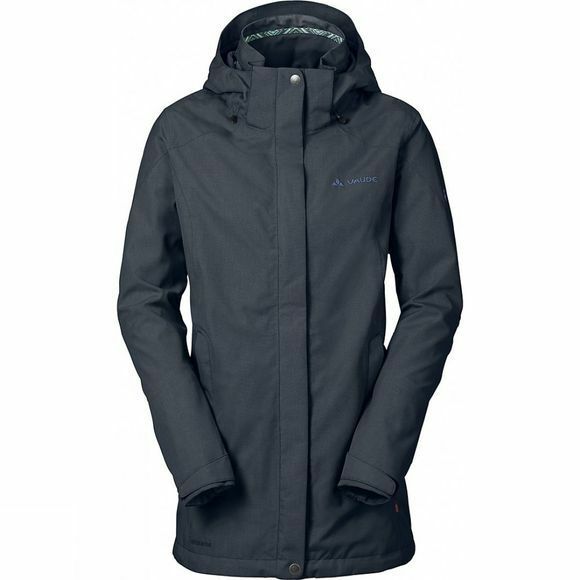 The Womens Skomer Jacket also scores in terms of environmental protection: the textile materials are bluesign certified. In addition, recycled S-Cafe polyester was used which is made using an innovative process that combines old coffee grounds with the fibres. This gives the resulting woven fabric naturally fast-drying, odour-resistant and UV protective properties. This product is made with Eco Finish, an eco-friendly water-repellent finish without fluorocarbons (PFC). Green Shape is your Vaude guarantee for eco-friendly products – made from sustainable materials and resource-conserving production.